Some very good news for Galaxy S III owners as PCMag spoke with Nick DiCarlo, Samsung’s vice president of portfolio planning. DiCarlo noted to PCMag that “many” of the software enhancements Samsung made with the Galaxy S 4 will make their way to the existing Galaxy S III and Note II. “Anything that we can do that’s not dependent on hardware like infrared, we’ll definitely bring to all the flagship devices,” he said. This could include but not limited to the new camera features, which DiCarlo hyped up as one of the best new features of the Galaxy S 4. Samsung has some precedent here as they took the Galaxy S II and original Note and added Jelly Bean complete with the newer Nature UX and many features originally found only on the SIII and Note II. S Translator: translates nine different languages in real-time – both text to speech andspeech to text. S Voice Drive: Control your phone with your voice while in the car – it can even read SMS messages and the like back to you. S Health: With accompanying accessories – S Band, Body Scale, and Heart Rate Monitor – the GS4 will help you get healthy. Given that you actually use the stuff, of course. Air Call accept: simply wave your hand over the screen to answer a call. Neato. Group Play: not as dirty as it sounds, this lets users share music, photos, documents, and games with devices around without the need for Wi-Fi or even a cellular AP. It’s magic. Share Music: Plays the same song on multiple devices in real-time. If Samsung wants to work to make sure “older” device customers are happy with some current software enhancements, who are we to complain? Don’t worry guys! The features will be out in 9 months! But u guys got LTE before everyone else. that’s on the carrier to bring LTE to your location not Samsung. Man, If you have a problem with the price, then don’t buy the phone. We already know that we can expect to pay more for the phone. It is not anything new. we expected. There is not scam here. They are telling up front that you will pay more. If you don’t like, they go to AT&T and get raped with the higher monthly price and over pay even more. Simple choice. Complainig here is not going to help you. True that, On tmobile we will gladly pay more if need be. And yet you wouldn’t pay more for Verizon, which has THE most coverage and generally faster download speeds. What a moron. Wont T-Mobiles UNcarrier campaign be starting by then? Actually, phone prices will be a lot cheaper this time around! You’ll only be paying $20 a month in installments. Other phone manufactures.. Take notes. 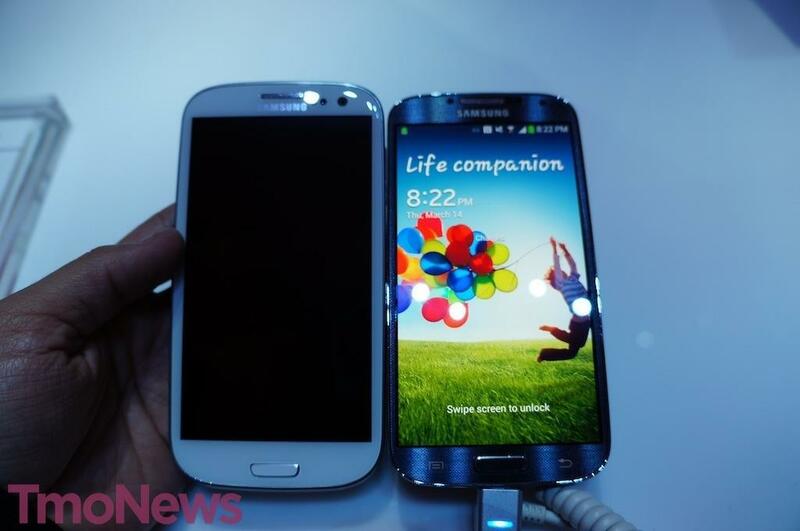 The Galaxy Note 2 and the Galaxy S3 are the GOLD STANDARD of the industry. The Note 2 is the device manufacturers are trying their best to catch and copy. It’s the MOST FEATURE RICH device ever anymore would be so excellent. Has anyone else googled Galaxy S4 and GOLD STANDARD? Pretty amazing. I’m this close to doing that to my Note 1 since JB and enhancement from Note II hasn’t come yet. Either root it or upgrade. I’m glad I passed up the Note1 and waited for the Note2, definitely worth the wait! Wow, that’s actually quite a few of the new features. Not sure how many of them I’ll use on my old GS3, but it’s pretty damn cool they’re going to release it for us. I’ve been waiting for a feature for this that is reliable. switched my Note 2 to, “movie mode” and LOVE how the screen looks! What’s movie mode and how do you switch it to that? I see the rooting kids chimed in to get their attention they so crave. I wonder how long until it arrives to the non-international devices? The only thing that I would find useful is the scroll and air touch. Nice. I hope Samsung also has plans updating the Samsung Galaxy Note as well plus updating their firmwares to 4.2.2. Can anyone recommend a good place where I could get the international version of the phone? I love my GS3. But I may get the international version just to get the updated a little faster than the US Carriers release them. What APN do you use so you can attach photos to text messages? I have a unlocked HTC One X and it won’t let me send any picture messages. A great place to get the international version is Amazon or EBay. Being that Tmobile is going away from the contracts and moving onto the bring your own device era I feel if Tmobile wants to keep their customers they will do whatever they can to push updates to their devices. No matter how old the device may be if the manufacturer is making them (updates) then Tmobile needs to release them. After all, if they don’t they may end up losing more customers than gaining them. Also they will be relying on profits through the contracts and not just the device subsidies so this would make sense. I got a feeling that I will buy a note 8.0 before my note2 gets a update.